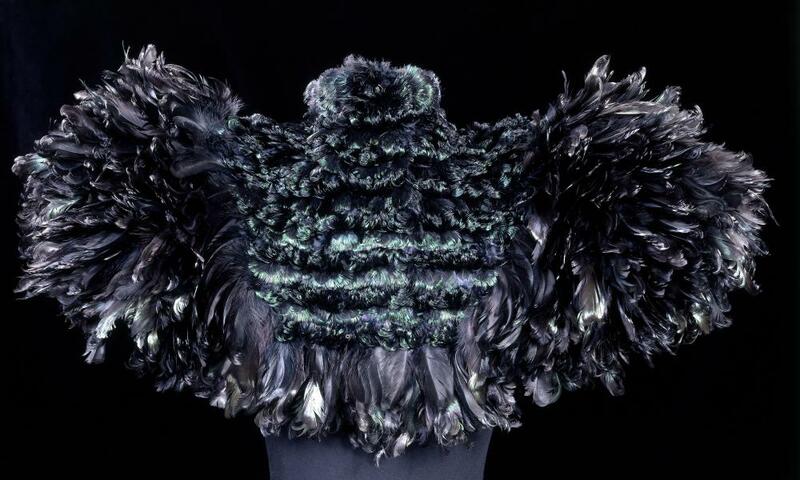 A genetically engineered bioluminescent silk dress, a pineapple-fibre clutch bag and a cape made from cockerel feathers are among 300 items to go on display as part of the V&A’s next fashion exhibition. Fashioned From Nature, which opens in April, will trace the relationship between fashion and the natural world since 1600 and examine the ways in which designers draw on nature for inspiration. 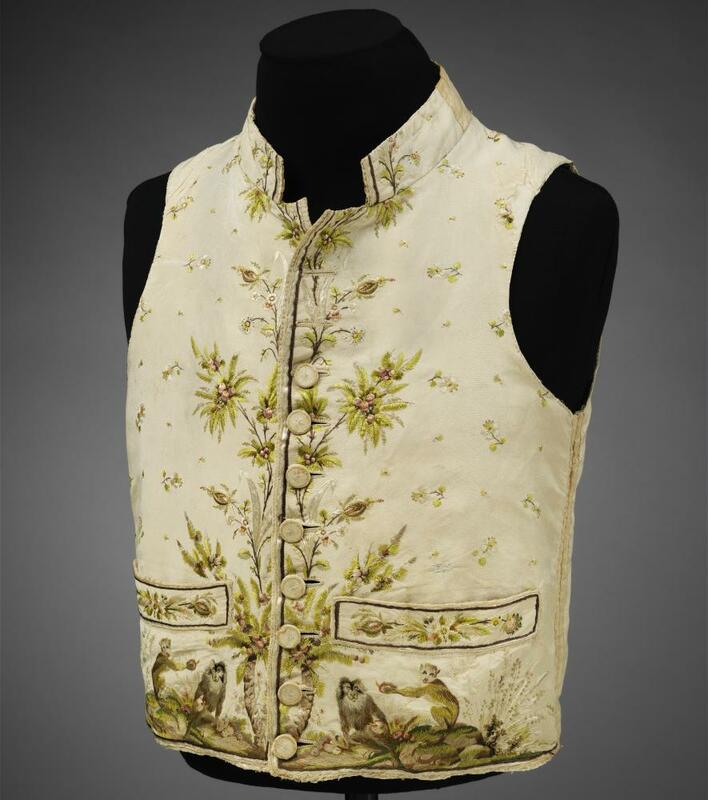 As well as modern items such as a dress made from the threads of silkworms that have been injected with genes from jellyfish, there will be historical garments, including a men’s waistcoat from the 1780s with an embroidered macaque monkey print, as well as more contemporary nature-inspired items such as a Gucci handbag with a stag beetle motif. As well as nature, the show’s curator, Edwina Ehrman, wanted to put themes of sustainability at the exhibition’s core. The V&A will showcase sustainably made garments by contemporary designers, such as the Calvin Klein dress worn by actor Emma Watson to the 2016 Met Gala which was made from recycled plastic bottles. The look was created as part of the Green Carpet Challenge, an initiative aimed at pairing sustainability and glamour. As well as drawing attention to the some of the innovative fabrics being used today, from the leather substitute made by the Italian company Vegea using the byproduct from wine making, to Ferragamo using an orange fibre made with waste from the Italian citrus industry to an H&M Conscious dress made from recycled shoreline plastic. On display alongside the genetically engineered silk dress – which was created by Sputniko!, the MIT Media Lab and South Korea’s National Institute of Agricultural Science and Technology, there will be other garments and items made with fabrics that sound otherworldly but are being created as part of efforts to reduce the fashion industry’s impact on the environment. From a dress grown from plant roots by artist Diana Scherer to a tunic and trousers made from synthetic spider silk by Bolt Threads x Stella McCartney. The exhibition comes at a time when the fashion industry appears to be waking up to its environmental impact – or re-awakening to that impact; Ehrman points to figures such as Vivienne Westwood and Katharine Hamnett who have been concerned with sustainability for some time, and whose efforts are celebrated in the show. There’s a burgeoning scene of cool brands that put sustainability at the heart of what they do, from ethical trainer brand Veja to Reformation, which turns sustainable fabrics into dresses favoured by the likes of Alexa Chung. And it also comes hot on the heels of news that Gucci will go fur free in 2018. There will be a knitted sweater made with yarn from Wool and the Gang. Among Ehrman’s favourite pieces on display is a Bruno Pieters suit from his Honest By label, which incorporates information about the fabric and origin into its design. “It’s meant to be about transparency and traceability,” she said. But the best thing about the suit is that itis “good fashion”. Ehrman wants visitors to leave “thinking about their own clothes and what they’re made of and what the impact of their choices might be”.